Often referred to as the Gentlemen of the Garden/Eigelberger Border; this Garden was originally designed and installed in 2005 by Bob Eigelberger and funded by the Gentlemen of the Garden. The gentle curve of these two borders contrasts with the formality of many landscapes. The reliance on foliage color has a visual impact that lasts year-round. 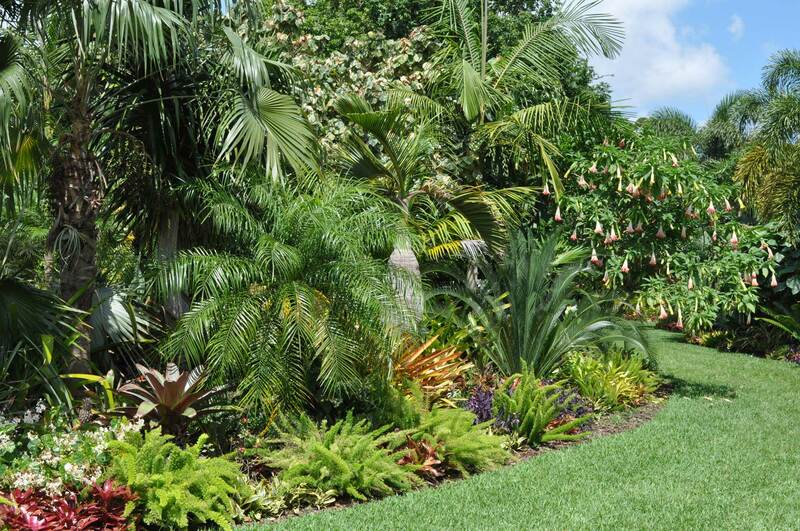 Bromeliads, succulents, ferns, begonias and other non-woody tropicals planted densely as a heavy ground layer is an effective alternative to finding a suitable, one variety, groundcover in our region.